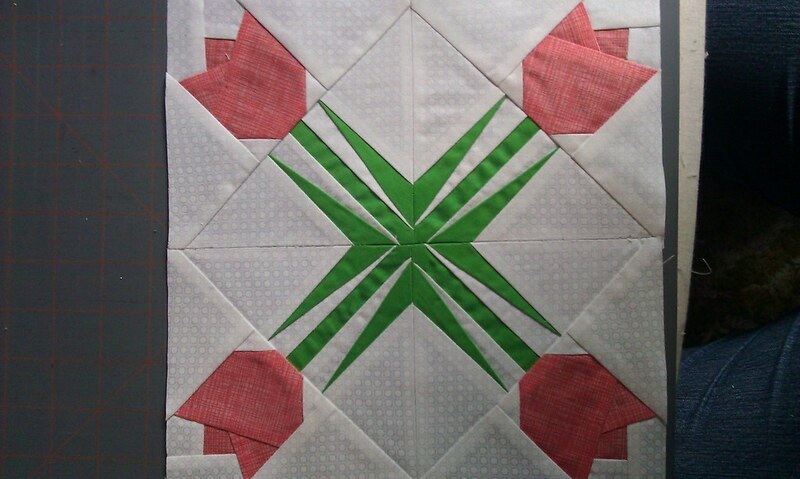 A couple of tulip blocks have been popping up on Flickr from the Garden Party Blog Hop. I love seeing ways that people interpret the block that I designed. Check them out! Mindy Ellen created this beauty! Karen in Tucson made a bunch of blocks from the blog hop, including my design. If you'd like to make this block, you can download the pattern here.